If you’re a fan of Kimi Raikkonen or just a fan of Formula 1, the last half an hour of the US Grand Prix was as nerve-wracking as it gets. Raikkonen was on his way to claiming his first race win in over five years (and his first in the hybrid turbo engine era) with Max Verstappen and Lewis Hamilton snapping at his heels. Incredibly, it was Raikkonen’s day as everything went perfectly as he crossed the chequered flag in his Ferrari in P1 – exclaiming on the team radio, “finally!” The crowds roared and fans all over the world cheered, this was probably the most popular F1 victory in a long time. In the Formula 1 paddock, it is hard to find a driver who is unanimously loved as much as Raikkonen. Unfortunately, the last several seasons have seen the former World Champion (2007 season) gradually being relegated to a shadow of his former self. Thanks to an unfortunate combination of Ferrari’s overall leanings towards Vettel, poor strategic calls that favoured Vettel’s result over Raikkonen’s, and frequently ragged drives, the Finn became the grid’s most overqualified No 2 driver. His win at the US Grand Prix is a doff of the (cowboy) hat to the racing superstar we all know and love. Raikkonen was on fire and didn’t put a foot wrong from when he grabbed the lead from Hamilton at the race start. It ends his 113 race-long drought without a victory (his last was at the 2013 Australian Grand Prix) – a record in itself. It is also his first win with Ferrari since he re-joined the team in 2014. Raikkonen, who was uncharacteristically expressive after the race, said, “Obviously it's a great feeling to win this race. It's nice to prove to all the people that we can still win; that's the reason we are here for, try to win races and Championships.” What makes Raikkonen’s victory even more bittersweet is the fact that he is moving on to Sauber next season – a team that is far from challenging for podiums, let along victories. This means that United States Grand Prix could be Raikkonen’s last-ever victory in Formula 1.
Credit for Raikkonen’s victory must also go to the Ferrari pit crew and their spot-on strategic calls, something that we have lately seen going very awry. By choosing to not pit Raikkonen behind the Virtual Safety Car (while Hamilton did) and adopting a astute tyre strategy, they set him up for victory. Vettel, being out of victory contention, allowed Ferrari to focus on Raikkonen and give him the best race strategy – with the aim of cutting down Hamilton’s points, if nothing else. In fact, it was a bit ironic to see Vettel play wingman to Raikkonen on lap 24 when Ferrari asked both their drivers to swap positions on track. Vettel readily agreed given that a Raikkonen win was a better bet to delay Hamilton from claiming the championship at the Circuit of the Americas. Apart from a good start and sound strategy, Raikkonen’s result was also boosted by his defence and holding up of Hamilton just before his first and only pit-stop. Given Raikkonen’s recent form and the DRS available to the following driver, one expected him to breeze past the Iceman and claim the lead of the race. However, Raikkonen’s defensive driving surprised one and all as Hamilton, who was probably a bit more cautious given the larger stakes for him, not only failed to overtake the Ferrari driver but also lost crucial race time that cost him in the later stages. In the Ferrari vs. Mercedes arms battle, the United States Grand Prix gave a strong indication that Ferrari were back in form with their car, ironically though despite their new upgrades not working as simulated. Mercedes’ pace advantage, which we have witnessed since Singapore, seems to have been wiped out. This is precisely why Mercedes are happy to use team-orders to wrap up Hamilton’s World Championship. 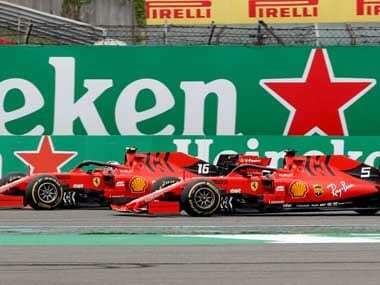 The pendulum has swung ever-so-often between the two teams (pace and strategy wise) and it would be good to see Ferrari bounce back in form and take the fight to Mercedes till the last race of the season, irrespective of the championship outcomes. 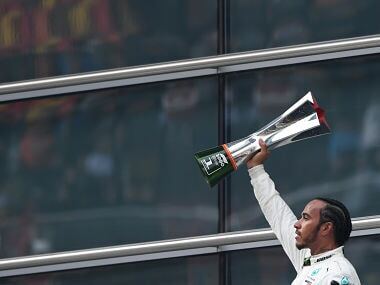 The United States Grand Prix was supposed to be where Hamilton claimed his fifth World Championship and catapulted himself into an elite club of Formula 1 legends. Instead, it became an unlikely story of another legend, Raikkonen. Despite starting on pole, Hamilton was only able to finish P3 thanks in equal parts to Mercedes’ strategy, unexpectedly high tyre degradation and Raikkonen’s solid driving. Even though he pulled some more points from Sebastian Vettel, he will have to wait till next weekend to clinch the title. While he would be disappointed to not “seal the deal” in America (given his personal and professional affiliations to the country) he will also be happy to not let a victorious Raikkonen steal his moment of glory. A Raikkonen race win could’ve taken away some of the celebratory attention from Hamilton’s record-equalling fifth World Championship. Hamilton expressed disappointment at Mercedes’ management of his race. Were they right to pit him under the Virtual Safety Car (VSC) period? While hindsight might offer a different answer, basis the data available to Mercedes then, choosing to make a free pit-stop (remember, the VSC period meant that Hamilton required lesser time to complete his pit stop than under normal racing conditions) over following Raikkonen’s Ferrari in second was the correct decision. In fact, Mercedes used this free pit-stop to convert Hamilton’s strategy from a one to a two-stopper. This strategy would have actually worked had Mercedes called Hamilton for his second pit-stop a few laps earlier than they actually did (on lap 37). By leaving Hamilton out longer, they ended up bringing the one-stopping Verstappen into the race winning equation. Eventually, Verstappen held his track position advantage to finish ahead of Hamilton. The exciting and unpredictable nature of the United States Grand Prix also brings into limelight the discussion of changing the format of a Grand Prix weekend. After wet weather forced a washout of the free practice sessions on Friday, teams and drivers started the grand prix with very little accurate data on tyre wear and performance. If the Friday Practice sessions would have run as normal, Mercedes would have known that the soft tyre wouldn’t have lasted as long as they hoped for it to do so in the race. This could’ve prompted them to not pit Hamilton under the VSC and the nature of the race may not have been as exciting. The learning? Give teams and drivers lesser time to practice and collect data. The more data they have to simulate, the higher chance of our races turning out to be boring. Meanwhile, title challenger Sebastian Vettel had a dismal afternoon. He needed to win this race to have even an outside chance at the championship, but could manage only P4 after a starting penalty and then a costly spin during the race. 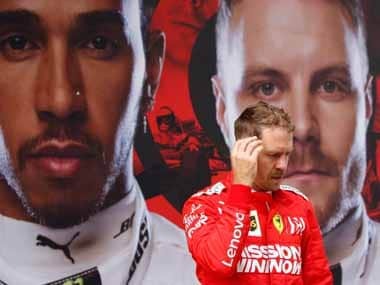 Critics who have been plotting Vettel’s downfall season as “cracking under pressure” receive even more fodder, he has now spun out and hit almost all the top drivers – Hamilton (Italy), Bottas (France), Ricciardo (Austin) and Verstappen (Suzuka). Said Vettel after the race, “I am really, really happy for Kimi and his result today, but I am not happy with my race and I am disappointed for letting the team down today. It has not been an easy time for me lately and bad results are part of the game, but I believe it's always possible to overcome issues." The United States Grand Prix provided Renault with a valuable haul of championship points (their cars finished P6 and P7). Their closest rivals, Haas, failed to score any points at their home race after Romain Grosjean had caused a collision that took him and Charles Leclerc out, while Kevin Magnussen was disqualified after the race due to excessive fuel usage. With only three races remaining, Renault’s lead over Haas is now 22 points, but write off this battle for ‘best of the rest’ at your own peril. Strangely enough, Haas has faced a disqualification with at least one car in the last five races. Force India would have mixed feelings about the result. Sergio Perez scored points (8th) but Esteban Ocon was disqualified for using excessive fuel on the opening lap. McLaren, their closest rivals in the constructors’ battle, did not score any points. In the fight for sixth place, the gap between Force India and McLaren is down to only 11 points. Racing Point Force India, the new avatar of the former Force India F1 Team, have scored 47 points since this year’s Belgian Grand Prix. McLaren have only managed to score six, courtesy Fernando Alonso’s seventh place in Singapore. Next week, the action shifts to Mexico City. All eyes will be on Hamilton and Mercedes as they aim to stitch up this championship. 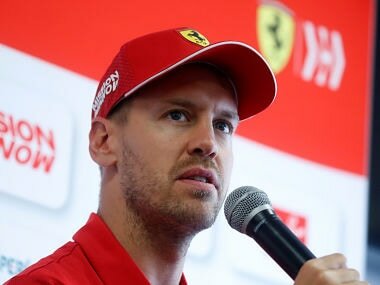 Vettel’s defence seems irrelevant anymore – the question is, will he be able to string together some good results in the coming races to exit the season with his head held high? Is Raikkonen renewed after tasting blood (and podium champagne), taking the fight forward in Mexico because he has ‘nothing to lose?’ Will Valtteri Bottas finally be able to win a race this season, as time runs out on him? We will find out in a few days at the Mexican Grand Prix.